"Welcome to the Beautiful Lake Cumberland & Green River Lake Area!" Our people specialize in helping you buy and/or sell different types of lake properties. Call us and let us help you find exactly what you are looking for or, if you have it and want to sell, call us and let us help you find a buyer. One story, vinyl-sided home sitting on a large lot, was completely remodeled in 2013. Remodeling included new HVAC with new ductwork; new plumbing; new wiring; new insulation; new kitchen cabinets; new vanities & fixtures in bathrooms; new flooring; and replaced some windows. The master bedroom has a large walk-in closet and master bathroom with tiled walk-in shower with dual showerheads. Home has 2 additional bedrooms & another full bath. Other features to make this your dream home are an open concept kitchen/dining room with wood-burning fireplace; spacious living room, w/pretty gas fireplace, that opens to a sunroom which could also be used as an office/den area. There’s more including a large laundry room, an attached 1-car attached garage with permanent stairs leading to the partially floored attic (think storage)! Let’s move outside to relax on the cozy porch/sitting area outside the sunroom or relax on the large covered front porch. Other features to make you want this house are a large deck area with an above ground swimming pool, storage building, concrete drive and large back yard with wooden privacy fence. All of this is close to Jamestown with its restaurants, churches, school, and then you are only minutes away from Jamestown Marina and Lake Cumberland. Call soon to make an appointment to see this property; you will be glad you did. Contact us about this listing. LOCATION, LOCATION, LOCATION is the best part of owning your very own lake home here on the Beautiful Lake Cumberland. This gorgeous home was built buy the current owners in 2012 and offers large open living room with propane fireplace, vaulted ceilings, kitchen, dining room, den area and foyer. Home has 4 bedrooms, 2 full baths with one having a jacuzzi tub and the other being a walk in tiled shower and utility room. The master suite of this home has a fireplace, walk in closet and also opens up onto the back screened in porch. This home also has a 2 car attached garage with a work shop and utility sink. Home also has a deck for all your family cookouts and bonfires. 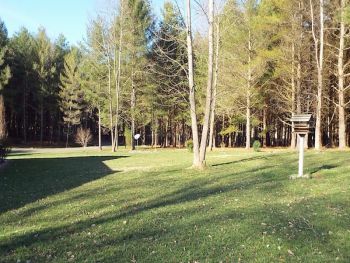 This home has a extra lot that allows for privacy in your very own piece of Kentucky paradise. 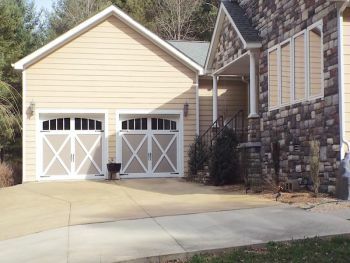 This property is in a gated community and consist of 2.35 acres m/l and only 1 minute of Purdy Hill Boat Ramp. Remaining with the property is all the stainless steel appliances, washer, dryer, propane grill, window blinds and storage building. The flooring in this home is very high end red oak, ceramic tile and vinyl. 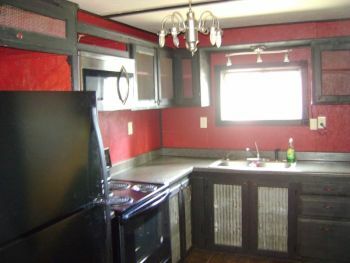 The kitchen cabinets are hickory and have pull out drawers along with hidden garbage and disposal. Every property in the subdivision has underground utilities and has free garbage pickup included with the home owners association fees. Paradise is the best description of this property! Call me today! Vacation or permanent residence you decide! This property sits right on Lake Cumberland’s Pleasant Hill Boat Ramp with private access to the Lake and offers two lots both with separate septic systems on a dead-end street. 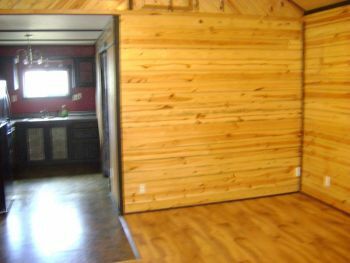 Home offers 2 bedrooms, 1 bath, living room, kitchen, utility room, covered front and back porches, brand new washer and dryer that comes with a warranty for asking price of property, 1 car detached garage that is large enough for boat storage, with living quarters that is heated and cooled. Just recently Duo-County has installed fiber optic for the best internet service available. Also on the property is another building for all of your garden supplies. Property sits back off of the main road and has a blacktop driveway. This home has carpet, vinyl flooring, central heat and air, county water, private garbage pickup, along with golf cart living. This property is for the GREAT FISHERMAN! Call today! Hard to find lake-oriented, unrestricted lot less than one mile to public launching ramp at the end of Clifty Creek Rd. This 0.9856 acre m/l lot per recorded plat is Lot 7 of the Humble-McClure Division between Jamestown and Wolf Creek Dam. 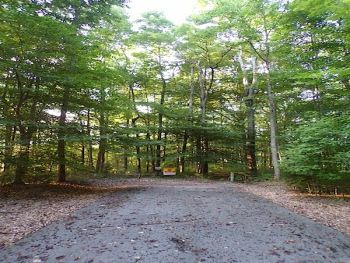 Lot is mostly wooded, offers city water and electricity along boundary with road, several hundred feet of blacktop frontage, and has two areas that have been leveled for building sites. 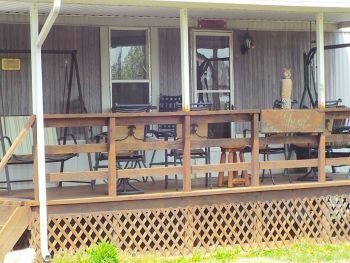 Offered with this lot is a 14’x28’ with 8’ walls, “Old Hickory” built “lofted barn” that is presently partially partitioned for great room, 1 bath, and bedroom residential cabin. Building can be moved so many possibilities exist for this vacation-type property. Also available is the adjacent Lot 8 that is 0.8961 acres m/l per recorded plat if you are looking for more land for building additional structures such as a garage or boat storage building. Motivated seller has the property “priced to sell”. AFFORDABLE VACATION HOME NEAR ALLIGATOR MARINA. 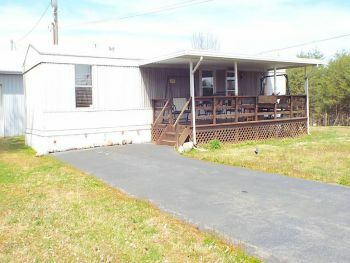 For sale is a 1996 Kentuckian 14’ x 60’ manufactured home with underpinning and a covered entrance. 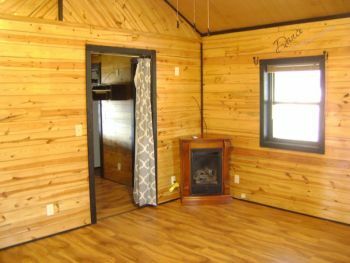 The home has some recent updates including nice vinyl flooring throughout, 1 1/2 baths, 2 bedrooms, and living room/dining/kitchen with laundry area. 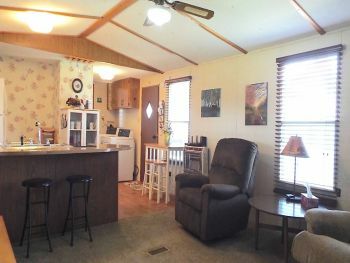 Range, refrigerator, washer and dryer, window blinds and treatments, and most furnishings will stay with the property. 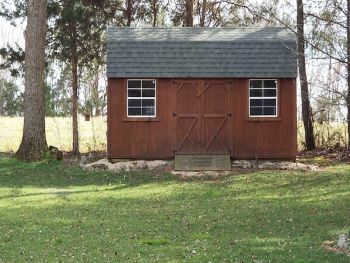 Also on the 50’ x 200’ lot is a small detached storage building. This property is within 12 miles of the full-service Alligator Marina on Lake Cumberland. Again, this property is being offered by motivated sellers at a very reasonable price. Looking for a very unique home that no one else has in this area, I have it! This home has so many conversation features built into the home that you will ask who designed this home? This home offers a total of 1943 Sq. Ft. m/l on the main level, 1293 Sq. Ft. m/l in the basement and 591 Sq. Ft. m/l upstairs for a total of 3827 Sq. Ft. m/l of living space. Home offers 3 bedrooms but could have up to 7 if someone needed more space. The main level of this home has a beautiful foyer, large kitchen that has 21 ft. ceilings with a spiral staircase leading to an overlook of the kitchen, pantry, living room, sunroom, utility room, 2 bedrooms with the master having a large master bath with walk in closet and the other bedroom also has its own bath with another walk-in closet. The upstairs of the home offers a large room that the current owner use as her craft room however it can be used as another bedroom if needed. The basement of this home has what could be 3 bedrooms, bathroom, living room, kitchenette, safe room and workshop. 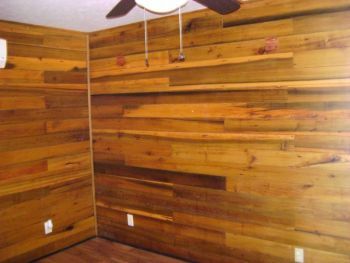 The current home owner has a room that they currently use as a man cave that could be turned into 2 more bedrooms if needed in the basement. The back of the home over looks Sulphur creek with 3 different decks to view the creek from (2 are covered). Also on the property is a nice playhouse for children and a Tiki hut that also over-looks the creek in the back of the home. The home owner has put in steps that lead all the way to the creek. The home offers engineered hardwood, vinyl, tile and carpeted flooring, blacktop driveway, underground utilities, outside spiral staircase, custom windows with custom plantation blinds, black stainless-steel appliances, propane furnace and central air conditioning. This home is in Churchill Place on Lot#15. Immediate possession is available for the purchaser. Available for your vacation or permanent house is this 0.72 acre m/l building lot in Captains Pointe Subdivision. 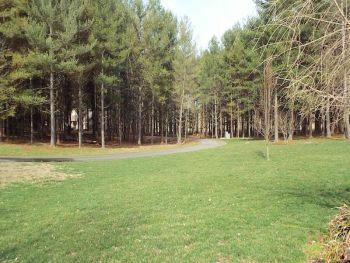 Lot has some nice mature trees, sits on a cul-de-sac, has underground utilities to the lot, city water, and wide paved roads and drives to the site. Enjoy the wildlife, community pond, and other features of this gated community at a very reasonable price. Pleasant Hill boat ramp on Lake Cumberland is only three miles away, so don’t wait; call your agent today for your appointment to see this lake-oriented property. 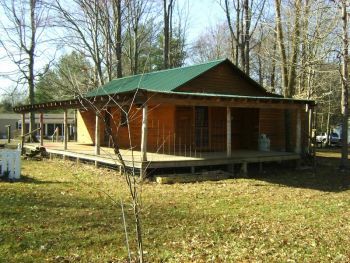 Rustic Home Located Very Close to Green River Lake and Holmes Bend boat Dock! 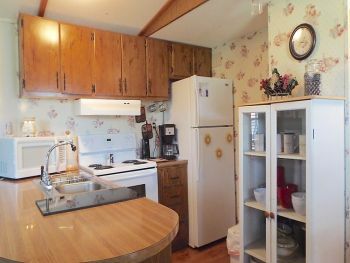 Home features an eat-in kitchen, living room with fireplace, 2 bedrooms, bath. 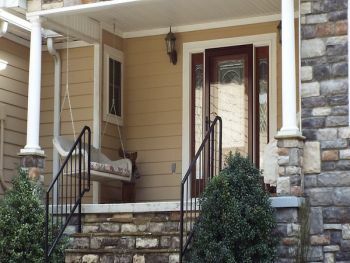 Wrap-around front porch and screened back porch. Lennox central heat & air and many more amenities too numerous to mention. 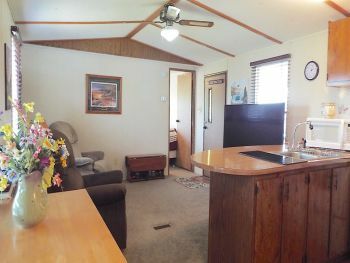 This home sets on approximately ½ acre wooded lot with 2 RV hookups, a 2 car/boat garage with concrete floor & electric, nice storage building, picnic pavilion, covered fish cleaning spot, covered 14 X 14 grill/smoker area. A must see property for the fisherman! This home would make a great weekend get-a-way, second home or even your main home. Looking for Beautiful Building Lots in a Lake Oriented Community with Mild Restrictions, then this is it! These peaceful pieces of property are wooded and have some mature shade on them. They adjoin each other and are located on a quiet country road near Lake Cumberland and boat ramps are also nearby. No Home Owner fees to contend with. These lots can be purchased individually at $12,000 each or in combination for $20,000. Beautiful lot that is right above beautiful Lake Cumberland. This lot has a seasonal view of the lake sitting in mature woods. Gated community that is well maintained, with a black top driveway. If you’re looking for a get away, this is it! Thank you for viewing our Lake Properties. Click here to return to top of the page.